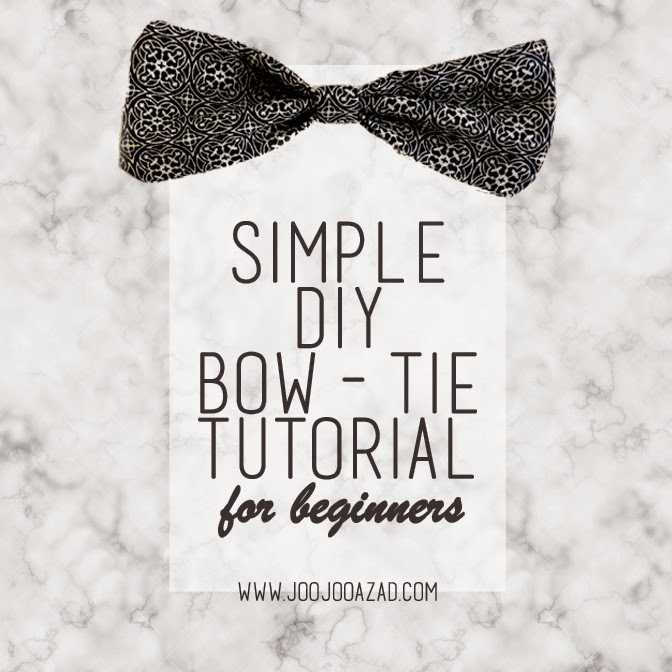 I've used this tutorial to make bow-ties as gift for friends and as products to sell on Etsy and they've always been a hit! Especially with the upcoming holidays and ample free time of winter break, this DIY is perfect way to make a meaningful gift or make a little extra money! 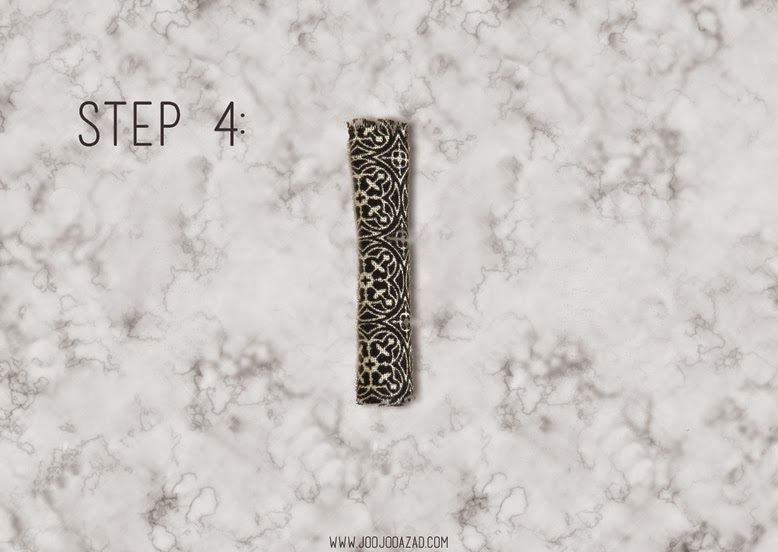 I remember ages ago I put together a little blog survey about your preferences for what you'd like to see more of on JooJoo Azad and basically unanimously agreed that DIYs are a priority. Because I didn't bring my sewing machine with me to college (...nor my free time), putting together DIYs was not the easiest to crank out. But now that I'm at home on break, I've been putting together some of my favorites! Measure a rectangle of fabric measuring about 9 inches (22.8cm) x 2.5 inches (6.35cm). It also might be easier to iron the fabric first, so it will be easier to work with. Fold in half, sewing the open ends shut. 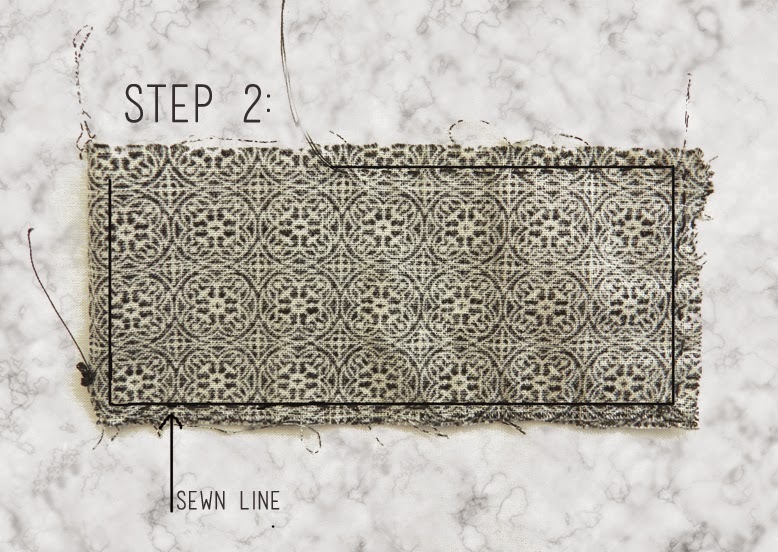 The easiest way to do this is to fold inside out and sew straight, leaving a little space to turn right-side out. Then, sew the rest with a hidden stitch. Pinch the fabric in the middle, and move around the folds until they are aesthetically pleasing/look like a bow-tie. Loosely sew the middle (where my fingers are placed in the photo) to hold in place. From the extra fabric, cut a small square with sides of .2 inches (.5cm). Then fold until the length reaches about .04 inches (.1 cm). This can be larger or smaller depending on what size you want the piece in the middle of the bow-tie (does that have a name?) to be--just play around with the size and see which looks best on your bow-tie. 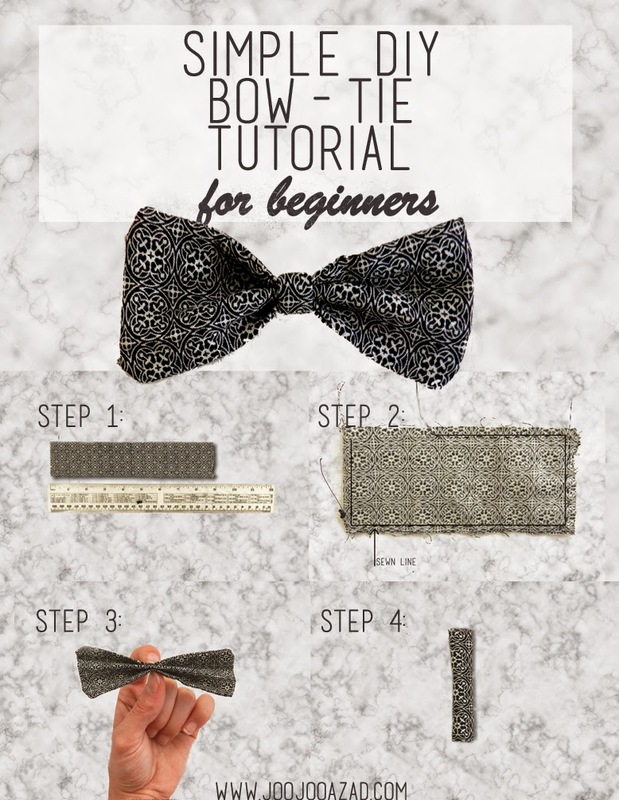 Wrap this new piece around your bow-tie and sew in place, cutting off the excess. This bow-tie can be easily attached to a bobby pin and added to your hair or attached to a clip and used as a bow-tie. 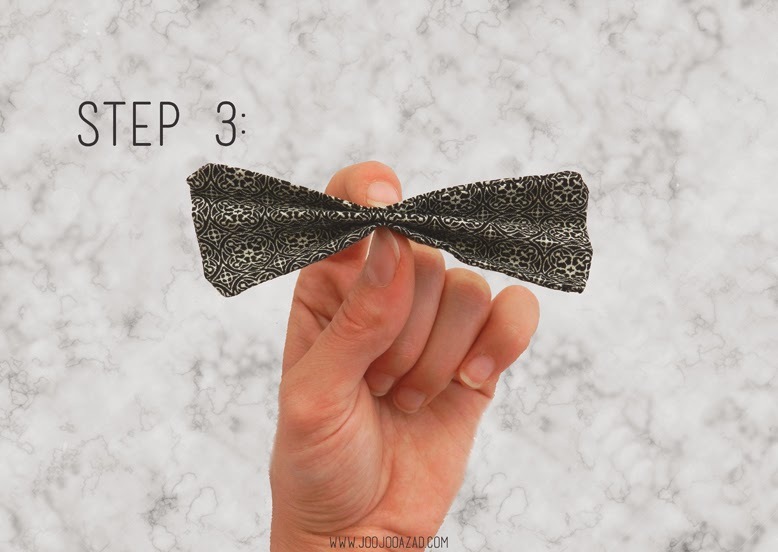 If your fabric is a bit thin, you can always iron on interfacing in step 2 while the bow-tie is still inside out and it will help give the bow more volume/thickness. 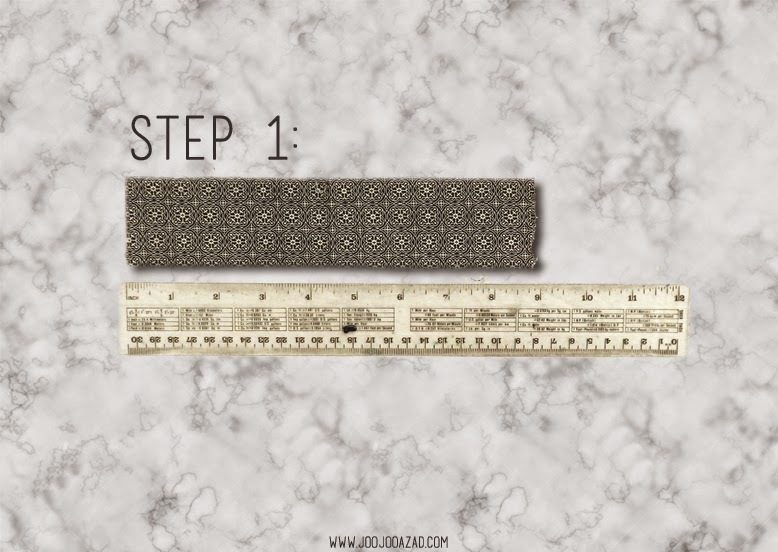 The measurements in step 1 can be easily changed based on if you are looking for a smaller, skinnier, lager, etc bow-tie. You can also check out my DIY Maxi Skirt and DIY Heart-Shaped Elbow Patches if you're feeling extra crafty! Hope you enjoyed this little tutorial and let me know if you run into any issues! P.S. I've also been playing with the idea of a newsletter--is this something you'd be interested in? This is amazing! The bow looks adorable! Great tutorial-- this is super helpful! I'm so clueless when it comes to DIY's, even the simplest seeming ones. You're so creative! I love the idea of turning these into hair bows!